Age 80, of Laura, passed away Sunday, March 24, 2019, at Upper Valley Medical Center. She was born July 12, 1938, in Laura, Ohio, to her parents Orville Denver & Iva Marie (Sproat) Penny. Alice graduated from Milton-Union High School class of 1957 and was a lifelong member of the Laura Christian Church. 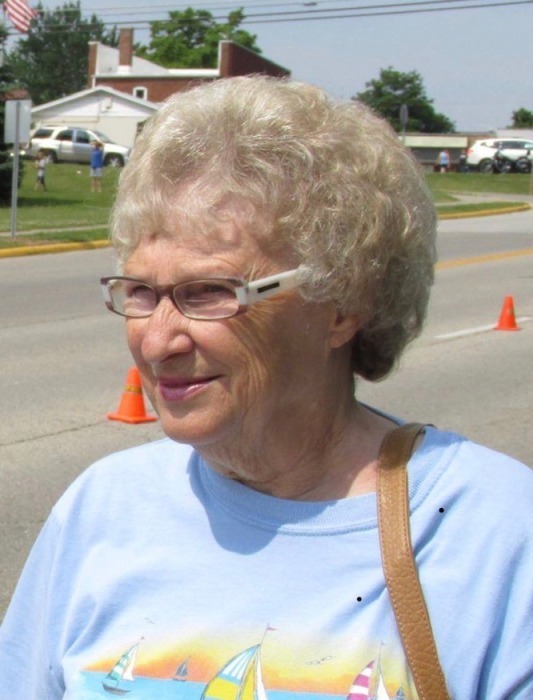 She was active in various village offices including finance director, billing clerk, Board of Elections, and served on the Laura village council for many years. She was also a manger at the Friendly Fox Restaurant in West Milton. She will be missed and remembered by her loving husband of 60 years Richard Lee Beck; sons and daughters-in-law Steven & Denise Beck of Laura, Dean & Anna Marie of Union, Thomas Beck of Piqua; 9 grandchildren; 6 great grandchildren. She was preceded in death by her parents; siblings Eugene Penny, Richard Penny, Doris Ditmer. Funeral services will be held 10:30 AM Saturday, March 30, at Hale-Sarver Family Funeral Home, 284 N. Miami Street, West Milton, with interment following at Old Ludlow Cemetery. The family will receive friends from 4-7 PM Friday at the funeral home.